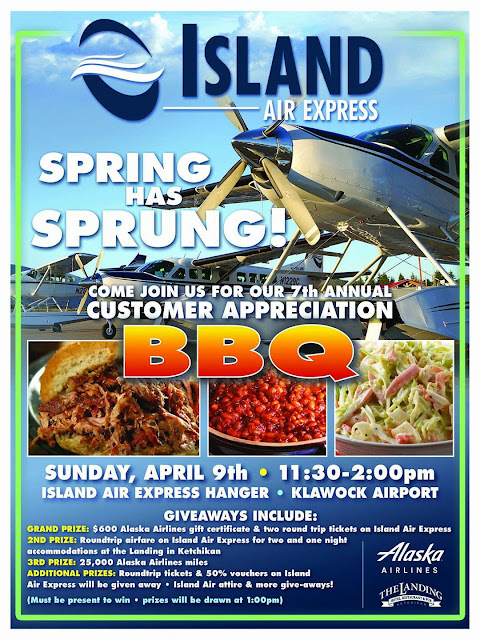 Home Prince of Wales 7th Annual Island Wide Customer Appreciation BBQ at the Klawock Airport Hangar. 7th Annual Island Wide Customer Appreciation BBQ at the Klawock Airport Hangar. Great food and lots of prizes! Read More: Opportunity to Bring Roustabout Circus to Prince of Wales! Please share!